Enhancing their in-house team's ability to discover and evaluate influencers 400% faster. 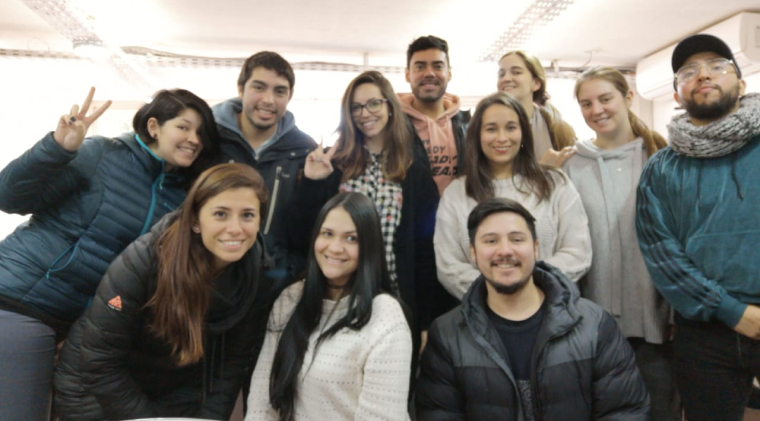 Frisbi is the leading Influencer Marketing Agency in Chile and has begun to rapidly expand into the rest of South America. They've run campaigns for companies like La Roche-Posay, Ford, Lancôme, Quaker, L'Oréal Paris, Mastercard, and more. 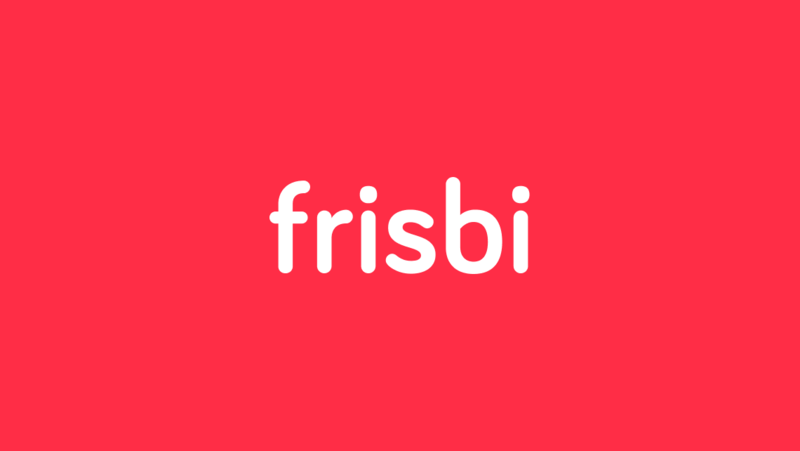 As Frisbi's clientelle grew, they needed a technical solution that would help them with their influencer marketing efforts. Otherwise, hiring more staff simply to browse through Instagram profiles and hashtags would be unsustainable. They needed a solution that would help supplement their manual efforts as business grew. "We started looking for solutions and explored building something custom ourselves which would have been very expensive given our unique needs. When I first found MightyScout, I was optimistic but skeptical. Could they really solve what these other options failed to do?" "I was blown away at the accuracy of the results they returned after my first trial. During the trial, we had MightyScout find foodie related influencers with 800-5,000 followers in Chile, and they did it by the next day. They also quickly responded to any support requests we had and even built some custom features into the platform within a week! After that we knew they were the right platform for us to work with. 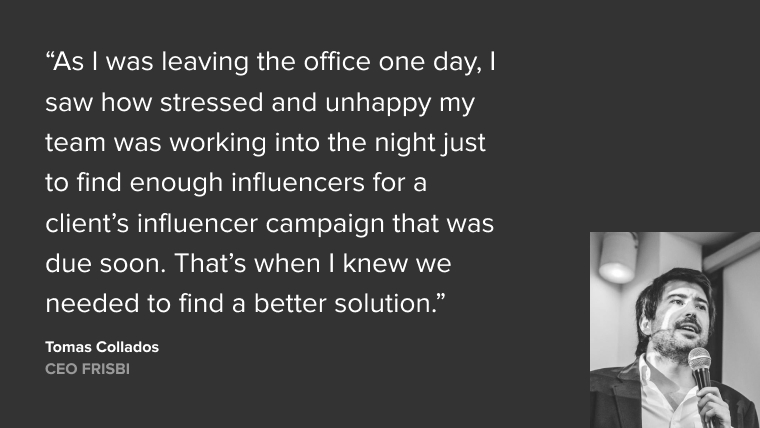 Our team used to spend 4 weeks finding the right set of influencers for a brand. We’re very selective and thorough with our search but when we used MightyScout it only took us a week to find and evaluate enough quality influencers compared to what used to take us an entire month!" "Another thing our team did before was go through an influencer's profile to calculate all their stats, interests, and brand fit. This way we could present a very thorough report on an influencer to our clients. 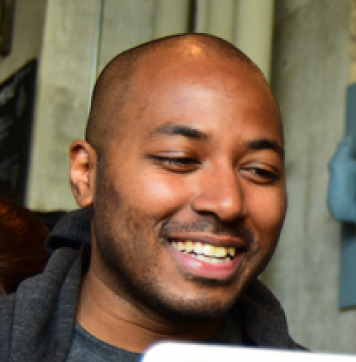 With MightyScout, they have tools that let you evaluate stats and get an overview of audience insights quickly, transforming an entire process that took us 1-2 days into just 5-10 minutes." When we started working with Frisbi, we worked with them on a cost structure that fit their growing company. As a young startup ourselves we know how important it is to pay for products that grow with you. We’re still in direct communication with their team through WhatsApp, quickly responding to their existing needs often times within the hour, and we involve them in new feature decisions often before they are released. "Our team is much happier, we’ve moved into a bigger office, and are still doubling our growth each year.  We couldn’t have chosen a better platform and long term partner for our ambitions to be the go to influencer marketing solution in all of South America." We’ll go over your existing Instagram Influencer Marketing strategy, process, approach to list management, content management, outreach, and methods for calculating ROI. You’ll also get access to our discovery platform, free for 7 days.